Chicago has filed an appeal with the Illinois Supreme Court to support the city's landmarks ordinance. It expects in June to hear whether the high court will hear the case. Landmarks Illinois, Preservation Chicago, the Chicago chapter of the American Institute of Architects, the National Trust for Historic Preservation and other organizations and municipalities have signed a statement of amici curiae (friend of the court) to the Illinois Supreme Court in support of the city’s appeal. This is a reprint of Landmarks Illinois’ February Preservation Brief regarding the Chicago Landmarks Ordinance lawsuit. For more information and copies of the rulings and appeals, visit www.landmarks.org. On January 30, 2009, the Illinois Appellate Court issued a decision, in the case of Hanna v. City of Chicago, that the Chicago Landmark Ordinance is unconstitutional because it’s too vague. While the decision did not overturn the ordinance, it did send shockwaves through the preservation community while drawing promise from property rights advocates. Landmarks Illinois has received numerous inquiries regarding the impact of this ruling. Below, we address the most commonly asked questions. Has the Chicago Landmarks Ordinance been overturned? No. The Appellate Court’s ruling sends the case back to the trial court that had previously dismissed the case. Before the case returns to trial court, however the City is expected to appeal the Appellate Court’s decision to the Illinois Supreme Court. 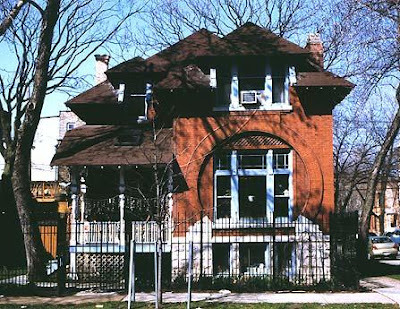 In the meantime, whether the Illinois Supreme Court hears the case or not, all designated Chicago Landmarks and properties in Chicago Landmark Districts remain protected. The Commission on Chicago Landmarks will continue to conduct its business, reviewing building permits and studying other potential properties for local landmark designation. How long will it be until there is a final decision in the case? Whether the case is next heard by the Illinois Supreme Court or the trial court, it will be a minimum of four to12 months before the trial court hears it again. The duration of a trial, and whether there are further appeals, means the case is not expected to be settled in less than a year-and-a-half. How likely will the Chicago Landmarks Ordinance be ruled unconstitutional? At this point, based on national case law, it is unlikely the ordinance will be ruled unconstitutional. The Chicago Landmarks Ordinance has functioned constitutionally for 40 years and contains language commonly seen in landmark ordinances nationwide. In 1978, the U.S. Supreme Court ruled New York City’s landmarks ordinance was valid, upholding a municipality’s authority to regulate the protection of historic properties and rejecting a challenge to the ordinance based upon the vagueness argument. In the same way that municipalities have the right to determine appropriate zoning, a landmarks ordinance enables a community to protect the character of neighborhoods, as well as protect individual historic properties. What is Landmarks Illinois doing to help? Landmarks Illinois’ legal advisors will continue to monitor the status of the case. When the City files an appeal to the Illinois Supreme Court, we will provide a letter of support if the city deems it appropriate. Landmarks Illinois also is contacting other interested organizations, both local and national, to support this appeal process. Updates on the case progress will be made available via our website: www.landmarks.org. Landmarks Illinois is now accepting donations for a fund that will support potential legal fees regarding this issue. Please send a check to Landmarks Illinois, 53 W. Jackson Blvd., Suite 1315, Chicago, Ill. 60604.